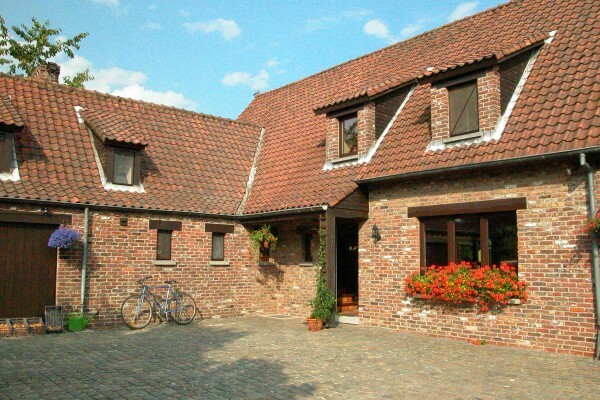 Just a stone's throw away from the magnificent ruins of the Cistercian Abbey of Villers-la-Ville, our B&B offers 3 confortable rooms in a very quiet environment. Would you visit us for a moment of relaxation, or to discover the region, or because your activities bring you far from home, we will spare no efforts to make your stay enjoyable. Should you stay with us for one or more nights, Villers-la-Ville offers a wide range of possibilities to eat or enjoy yourself. Amongst other, walking, golfing, fishing but also for more cultural demand, theatre and concerts are often organised wether in the Abbey or in the old Roman Church. A few restaurants and bistrots are available and in Villers-la-Ville you will find all shops to answer your needs, a beauty Center and several hairdressers. Last but not least, Villers-la-Ville has a rail station and you can thus come and visit us by train, a little plus for the environment. Think of the "billet week-end" of the SNCB which allows you to travel at 50% rebate. At your arrival, give us a call and we will come and collect you at the station. This nice room, oriented East will charm you at the sun rise. The most confortable with its private shower and washbasin. (the toilet is loccated in front the room). For 2 persons in a dubble bed. Your children will adore it. 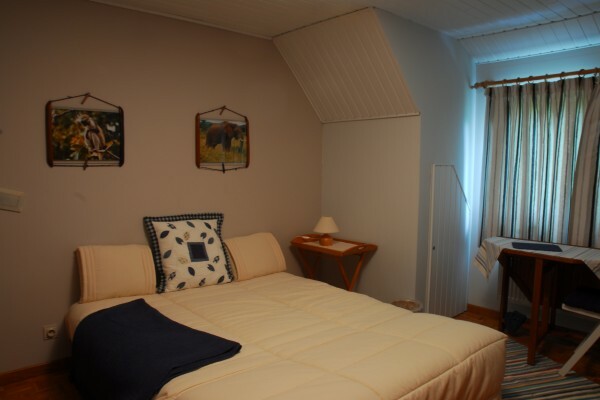 Decorated with pictures of wild animals that will accompany their dreams, this room for 2 persons in a dubble bed allows to have a third bed for a child. With the ROMANTIQUE, it is ideal for a family stay. The bathroom with toilet is common to the two rooms. This big room allows to stay with a baby. Twin beds. With the SAFARI, it offers a nice family suite. 50€ per night for two, breakfast included. 10% rebate when you stay more than 3 nights. 40€ per night for two, breakfast included. Full continental breakfast with various bread, croissants, orange juice, home made jam, cheese and ham. Breakfast can be taken outside when the weather is fine. No experiences yet with Leonard Bed and Breakfast. Be the first! Did you stay in Leonard Bed and Breakfast? Let us know what you thought about it and help others to make the right choice! * I confirm having stayed in Leonard Bed and Breakfast. Find other bed & breakfasts in Villers-la-Ville or all bed & breakfasts in Walloon Brabant.